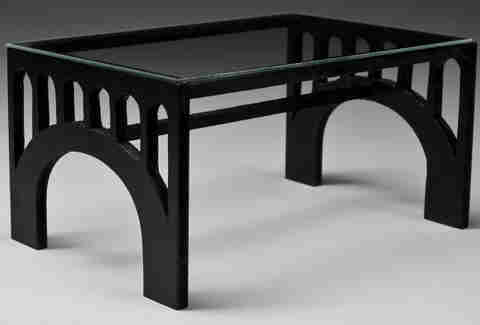 Woodley Park Table The District's own Taft Bridge is replicated in the legs/ support of this design she can scale into a desk or coffee/ kitchen table. It's part of her series on bridges, in which she notes that bridges are "grandiose architectural structures that transport you from point A to B", and in the most unfortunate cases, sea. 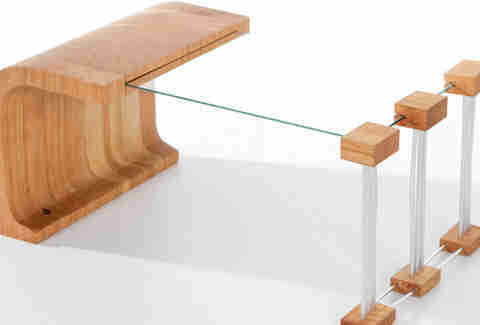 Backyard Addition Table Named for the most rigorous subject most homeschooled kids experience a similarly shaped sculpture, this coffee table from the stylish future incorporates cherry, aluminum pipes, and glass. 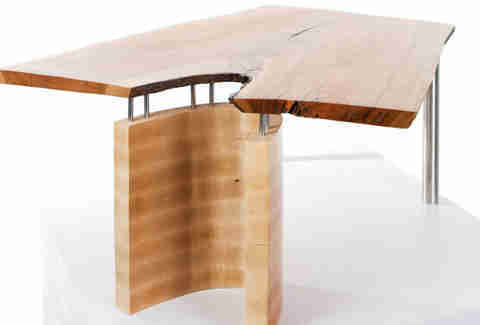 The C Curve Inspired by designer George Nakashima, her first crack at using raw wood juxtaposes a smoothly finished maple base with a slab of "crotch cherry", so basically this thing really pops. 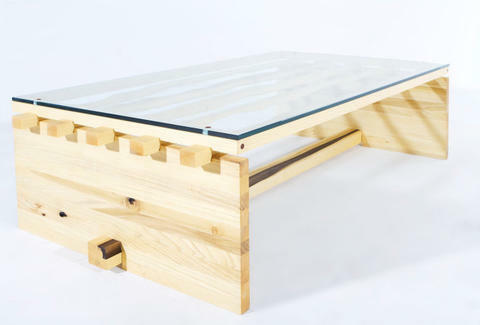 And because just staring at your table while standing would be weird, she's also crafted walnut/ poplar benches and seats inspired by the Shaker tradition, marking the first time such a pious sect has been involved in something so under the table.